Throughout each day, you must consume enough water to maintain hydration. All fluids and many foods provide water but, depending on your hydration needs, some are better sources than others. Athletes, for instance, have greater hydration needs than the average non-athlete. Seltzer and some other carbonated beverages are good sources of fluids but may not be recommended for hydration in some circumstances because of the gas formed by carbonation. Hydration is the level and balance of fluids and electrolytes, or minerals, your body must maintain to stay healthy and perform all physical activities. If you don't drink enough water or other fluids throughout the day and increase your fluid intake during rigorous exercise, you may become dehydrated. Dehydration, or insufficient fluid levels in your body, can lead to severe medical complications, including death. The amount of water needed daily by the average adult to maintain normal hydration is 2 to 2.5 liters and the amount needed by endurance athletes is as much as 11 to 15 liters, according to University of Southern Maine. Water is available for hydration in many different forms. Although plain tap water or bottled water is recommended as the best source of fluids for hydration, sports drinks are also recommended by the American Council on Fitness if you exercise for more than 45 minutes. You can also drink other watery fluids, such as milk, juices and sodas, and consume watery foods such as soups, yogurt, fruits and vegetables, to maintain proper hydration throughout the day. 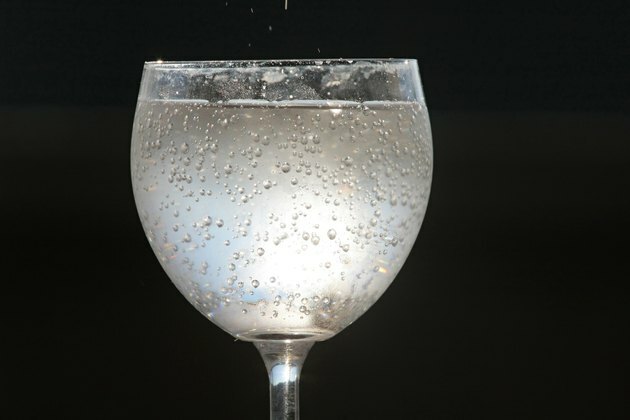 Seltzer is filtered tap water that goes through the process of carbonation. Carbonation is the process of adding carbon dioxide gas to the water, which creates the fizziness, or bubbles, in seltzer and other carbonated beverages. Seltzer can help you maintain normal hydration throughout the day, but for athletes who require more fluids to replace water lost through excess sweating, seltzer may not be the best source. The gas bubbles that form in seltzer expand the stomach and give a sensation of fullness. When that happens, an athlete may drink less than is actually required for hydration. Many factors affect the amount of fluids you need to consume each day, including gender, physical activity, health status and local climate. The U.S. Department of Agriculture's 2010 Dietary Guidelines for Americans emphasizes the need for everyone to consume water daily for proper hydration. The guidelines do not include specific daily recommendations, however, because individual water requirements vary greatly and government surveys show that the average American consumes sufficient amounts of water in response to thirst and through normal consumption of fluids, especially with meals. If you engage in strenuous physical activity, the American Council on Fitness recommends drinking 17 to 20 oz. of water several hours before exercise, 8 oz. of fluids 30 minutes before exercise, 7 to 10 oz. every 10 to 20 minutes during exercise and 8 oz. of fluids within 30 minutes of finishing exercise. What Can Excessive Fluid Intake Cause?